"Rob Burgess brings a disarming inquisitiveness along with an investigative journalist's dogged pursuit of the story to a wide range of topics, including (but not limited to) pop culture, film, the literary world, stand-up comedy, hip-hop, pop music, K-pop, rock & roll, American politics, elections, South Korean politics, the American zeitgeist (as broadly or narrowly defined as need be at any given time), the pharmaceutical industry, family farmers' issues, race relations, freedom of speech, journalism, regionalism, partisanship, parenthood, the state of policing in America and even the best candies to eat or horror movies to watch during the Halloween season. In many cases, Bob brings a deep personal working knowledge to the issues he covers. If you're like me, you've probably heard plenty of podcasts with a progressive bent from podcasters safely ensconced in New York City, Los Angeles or other bastions of liberal thought and culture, and their podcasts may be great in their own right, but in Rob Burgess you find an educated and eminently reasonable voice coming out of the rural Midwest; a small town, red state, Bible-Belt liberal. 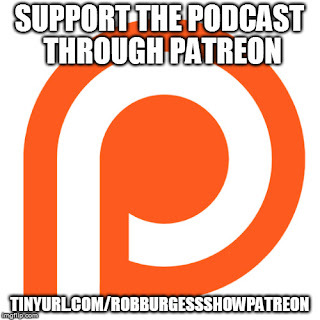 Full disclosure, it's been an honor for me to have been asked on The Rob Burgess Show numerous times, mostly to talk politics, Korea, and K-pop (roughly in that order), but I listen to every episode, even all the ones I'm not on, just as I would do if I'd never been a guest. Scoring interviews with big names straight out of the headlines, like Martin "PharmaBro" Shkreli and former-Baltimore-police-officer-turned-policing-reform-advocate Michael A. Wood Jr., each week I look forward eagerly, wondering who the next guess will be (unless it's me; then, I know!) At any given moment, I just know that The Rob Burgess Show enjoys a smaller audience than it warrants. 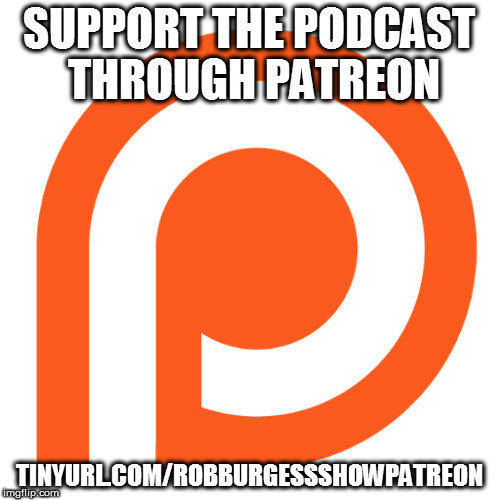 So if you're new to The Rob Burgess Show, or you haven't listened yet but find yourself intrigued (and, honestly, who wouldn't be? ), take a look through the lengthy back-catalogue of episodes, find a guest or topic that tickles your fancy, click "Play", and just listen as the soothing sounds of Flamingosis's "Saturday Night Fever" wash over you and you embark on a conversation that is manifestly worth having." I'm creating this Patreon account because I want to experiment with being otherwise ad-free. I am very proud of the work I've done here, and I hope you'll consider supporting it. Producing this podcast takes time, money and effort. If you find value in what I do, and want to give any amount, it would be very much appreciated.